We’ve all seen the improvements in quality that Chinese goods have experienced over the last few years. In every industry, there are brands that push the envelope in terms of what can be expected! For trucks, that brand is Foton. This is a company with ambitions of being a global powerhouse. In just a few short years, they’ve modernised their portfolio to leapfrog over the competition in every aspect. Foton’s new co-developed with Daimler is a prime example of the advancements they’ve made as a company. This vehicle comes with a cutting-edge Cummins ISG engine as well as the latest generation ZF gearbox. By combining these elements, you get an incredible 430hp and 2000Nm of torque and yet a Euro III emissions rating and fuel efficiency of just 2-3L/100km. To get an idea of how much has changed, put these EST and EST-A models against the company’s previous generation prime mover, the Foton ETX. The differences are immense. That older vehicle was equipped with engines and gearboxes of Chinese design. They were made for a different era. Today’s Foton leverages their relationship with Daimler for the outstanding performance of their current flagship vehicles. It’s even more impressive when you compare Foton’s products with other Chinese trucks such as FAW, Sinotruck, Shacman and CAMC. These companies offer low prices but only because they’re still using older-generation Chinese made ‘Weichai’ or ‘Xichai’ diesel engines. Many are still sold with manual transmission gearboxes. Foton’s use of the Cummins ISG engine and ZF Traxon automatic transmission elevate it to a different level of refinement. On top of that, it’s 30% quieter during operation and has features such as crawl mode and hill start assistance. And how does Foton stack up against the market leaders from Europe such as Volvo, MAN, and Scania? Well for about RM100,000 LESS, Foton still gives you a truck with an engine from America’s largest engine manufacturer (Cummins), and a gearbox Germany’s largest transmission producer (ZF). On top of that, they’ve done the work to make their EST and EST-A super trucks more aerodynamic than many of their competing continental prime movers. They’ve done this by optimising the designs of their air deflectors, side aprons, bumpers and headlight housings. And just like their European counterparts, Foton’s latest trucks have remarkably high safety and comfort levels. The EST and EST-A super truck come with ABS, ASR and Cabin Crash Technology. Their cabins are also ergonomically designed to give the driver the best comfort and visibility. Plus, there’s ample storage as well as a thick mattress for drivers on long journeys too. 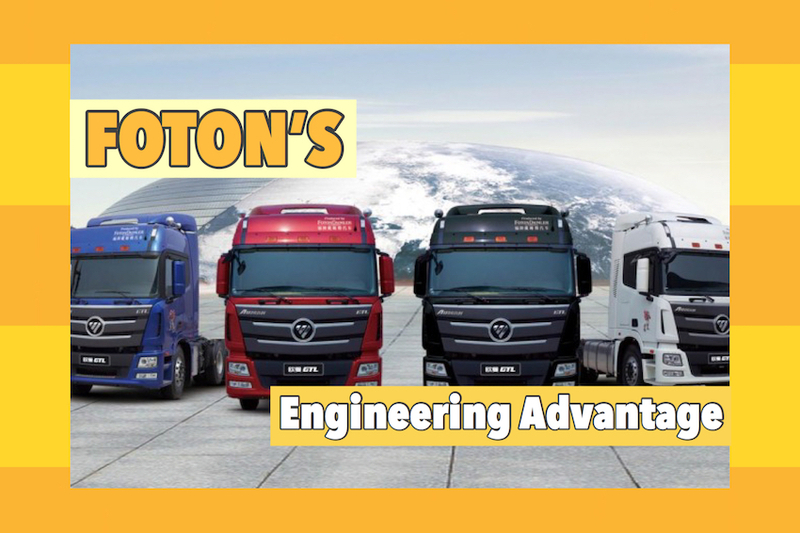 Foton’s understanding that superior engineering is what’s demanded today is what sets them apart. And with unrivalled cost savings the company is able to offer their customers real value and world-beating quality. ISUZU Malaysia is No.1 Commercial Vehicles Brand in Malaysia for 5TH Year!